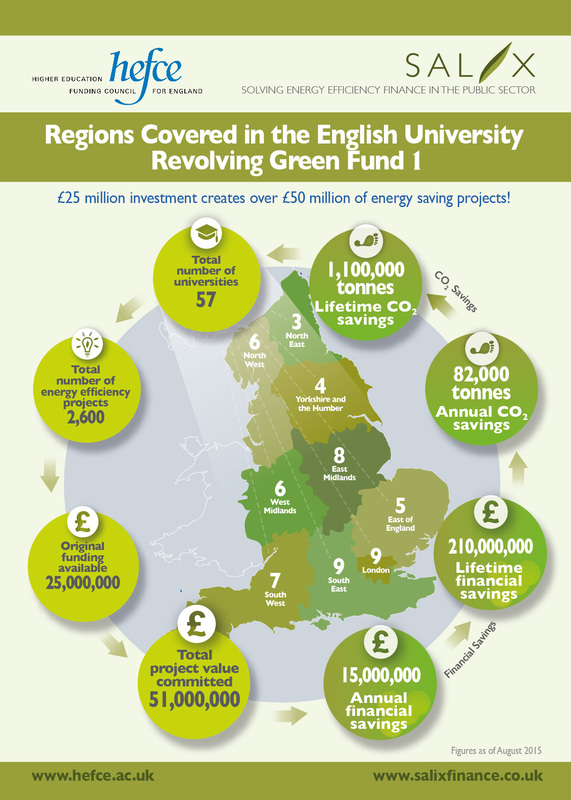 After an initial Salix pilot of four clients in 2007, HEFCE and Salix formed a partnership in 2008 and established a 50:50 investment of £20m. Today, there is a client base of 45 clients. Each client has a sustainable ring-fenced fund and is able to recycle financial savings back into their fund for further investment. 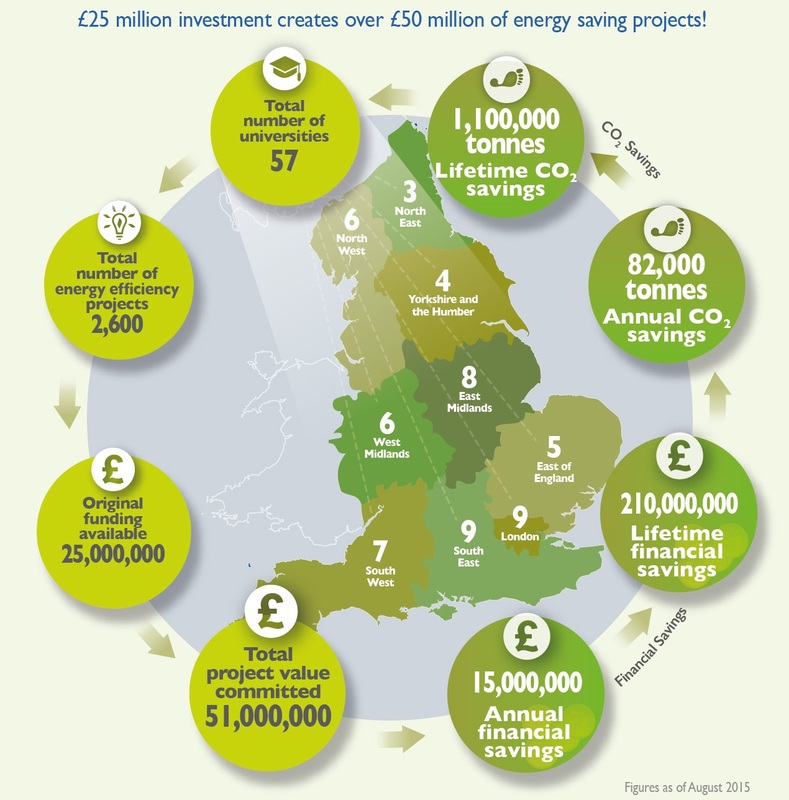 Since the start of the programme, £51m of project commitments have created £214m of lifetime savings (figures as end of August 2015). A list of RGF1 funds can be downloaded here. More information on HEFCE can be found on their website.